The Prairie State credit union converted to a new core platform as part of a transformation to a new charter, a new headquarters, and a new name. Andigo Credit Union converted to a new core platform as part of a transformation to a new charter, a new headquarters, and a new name. Leaders there say collaboration and time are two ways to make a transformation like this a success. Knowing when — and how — to convert core processing platforms is a challenge that hundreds of credit unions fear and embrace each year. The right system empowers the enterprise to add new efficiencies to its internal operations, new products and services to its members, and, in effect, limitless scalability for the financial cooperative’s future. Andigo Credit Union ($841.6M, Schaumburg, IL) converted to a new core platform in October 2017 after 16 years on its former solution. 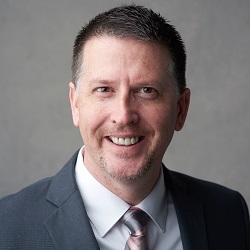 Here, the suburban Chicago credit union’s executive president and chief lending officer, Sean Bowers, shares how Andigo decided when and how to convert as well as how it’s leveraged lessons learned to improve products, processes, and collaboration. Why did Andigo decide it was time to convert core processing platforms? Sean Bowers: Andigo had been with the same core provider since 2001. We knew we needed a comprehensive, member-centric view with enhanced contact and relationship management to support our cross-selling culture. We also knew we wanted to have a scalable product that would grow with us. We’ve had many other large-scale changes in a short period of time, including expanding our field of membership, changing our name [from Motorola Employees Credit Union], moving to a new headquarters building, and deploying a remote data center. What were some of the steps you took to identify a new core? 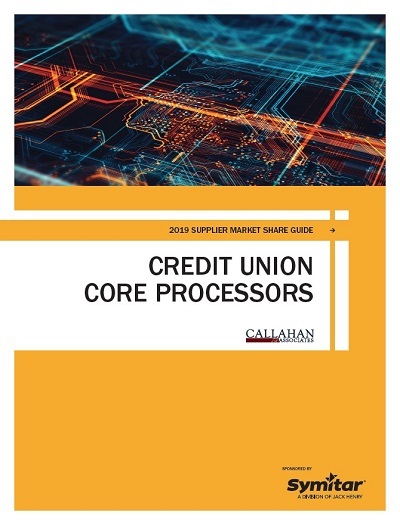 SB: We started our conversion journey with Callahan & Associates, leveraging the Marketing Share Guide: Credit Union Core Processors publication and Peer-to-Peer software. We identified 38 platforms serving 3,500 credit unions, then filtered that list to cores serving credit unions $1 billion or more in assets. We worked with Next Step International Inc. through the final selection process. This took 12 months and 2,800 total staff hours. We’re now on Fiserv DNA. Talk about your new system’s ability to create new products. SB: We converted only one checking product to our new core offering. One month following conversion — or “transformation” as we call it since our new system is helping us transform the way we do business — we kicked off a project to test and launch two new competitive products: High-Yield Checking and Cash Back Checking. Our new core platform allows us to easily create new checking products as well as the capabilities to fulfill each product’s reward requirements. Member experience was top-of-mind. We were able to give members the ability to seamlessly switch from their existing checking product into a new checking product without changing the account number or issuing new plastic. We emphasized product quality assurance at launch, thus the project team conducted extensive iterative testing of all systems, including end-user testing. Andigo is a year post-conversion. Are you realizing the benefits you expected? Why or why not? SB: We entered into the conversion process knowing the journey is never- ending. So, I think we’re right where we expected to be. We’re still learning the system and figuring out what we can do better in terms of workflows and process. We still have a dedicated group of managers tasked with exploring departmental and member experience improvements. Giving our team time to think through what can be done better is imperative to success. Are you seeing the efficiencies you expected? If so, what efficiencies have you seen? If not, what are some you’re still seeking? Sean Bowers, EVP/CLO at Andigo Credit Union, offers four strategies to ensure a successful core processing platform conversion. Engage employees. A successful conversion requires a lot of hard work and dedication from the team. Bring in different team members before the work starts so the conversion can be theirs, too. “It’s easy to keep decisions and input confined to a select few, but in reality you need your employees to tell you what’s not working and get their opinion on what is needed,” Bowers says. “You need them to get you there, so make them a part of the process from day one. Evaluate process and workflows. Explore what the new system can do, and document everything. “You have to get out of your own head and day-to-day work, which can be challenging since the day-to-day work has to keep happening in the meantime,” Bowers says. Time. Don’t rush it, you have to give your team and your provider time to do it the right way. If that means a delay, don’t get discouraged. It’ll pay off in the end. Make it fun. Do social things and reward the team. SB: Our new core platform is much more comprehensive than our previous one. We’re able to do many more functions for our members. We’re able to view a dashboard of the members’ financial profiles to better assist them, and there is a follow-up system within the core for reminders to help serve the members. That said, I think that a year or two in, you shouldn’t expect the system to be where you were when you’d been on a system for six, eight, or 10 years. You’re working with a new system, and there are going to be things that are harder to do than what you remember from the “old way.” The old way is a dangerous memory. You forget all the things that were clunky and hard. It was easier because there was a process and it was familiar. Give yourself and your staff time to get used to the system. Then, start challenging the things that are taking the most time, work with peer groups and the technical support from your core provider, and see what others are doing to solve the same issue. Chances are, you’re not the only one experiencing the issue. During our conversion process, we developed test cases to use during the conversion week and for ongoing system upgrades. We also re-designed and re-built all of our critical procedures so we can use them in our day-to-day world for assisting our members and helping our employees with the learning curve. It’s easy for staff to go back to doing things the way they always have. Was that the situation at Andigo? If not, how did you prevent it? If so, how did you deal with it? SB: Our team was super excited to move over to a new core and realize efficiencies by doing things differently. A lot of them were part of our core transformation team from the beginning, so they had a lot of ideas on how we could improve. Your team has to be onboard with doing things differently and support the need for change. I recommend you have a cross-departmental, cross-functional team that is dedicated to both conversion and post-conversion activities. One “win” we found during this process was the great collaboration between departments. We saw our teams working together productively to build new processes and procedures. As a result of the hundreds of collaborative hours spent on the transformation, relationships strengthened. The results of our employee engagement survey reflect this.